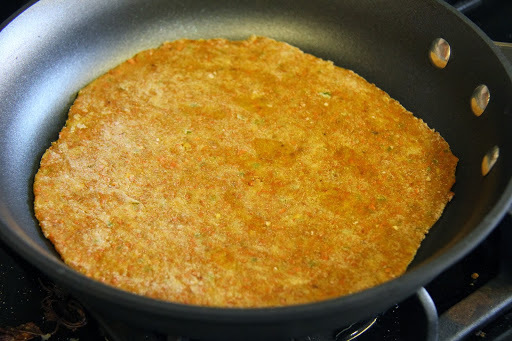 A delicious and colorful Thepla using carrots.This can be had with any chutneys and milder curries unlike the Methi thepla.This is a great way to add vegetable and fiber to your diet. 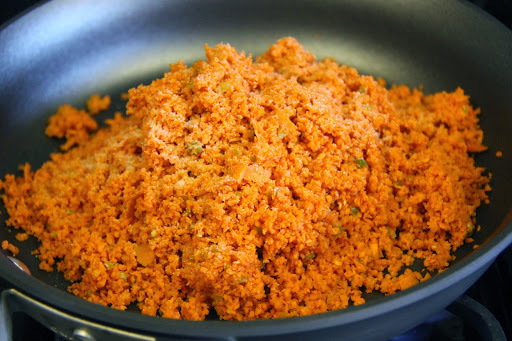 1.Heat 1 teaspoon oil in a pan,add the grated carrot,salt and green chili and saute for about 5 minutes and turn of the stove.Check for salt and add more if needed. 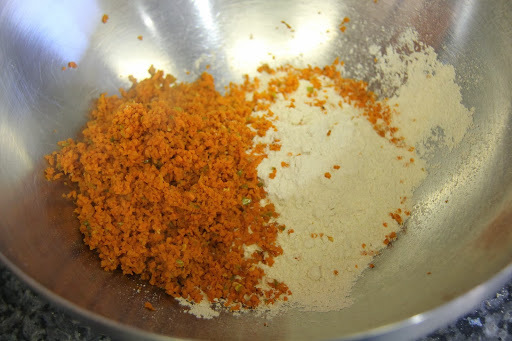 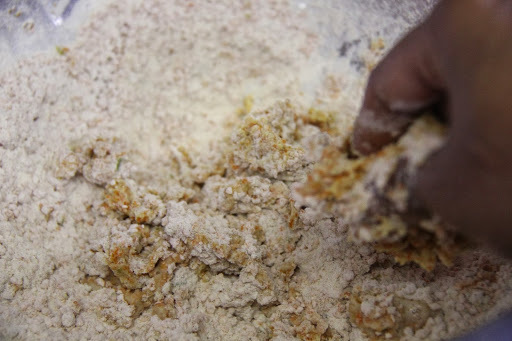 2.Take the flour in a bowl and add the carrot mixture in it and mix well. 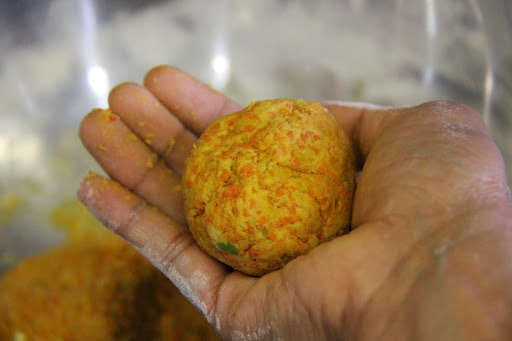 3.Add water little by little until it forms a smooth ball.You will need around 1/3 cup-1/2 cup of water.Knead well and cover and keep aside for 15 minutes. 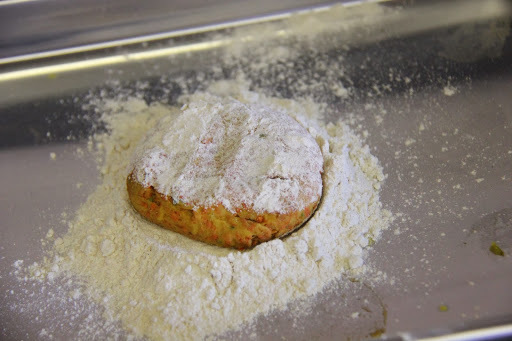 4.Make balls about the size of a lemon and press gently to a disc. 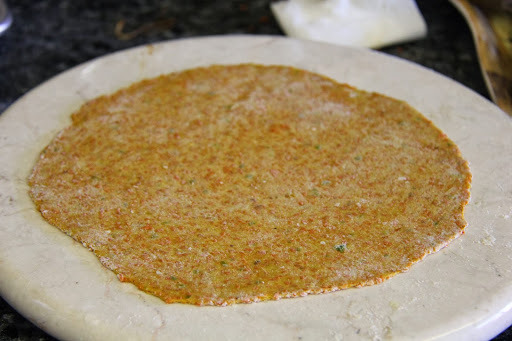 5.Dust the surface with dry flour and roll the disc into a flat bread. 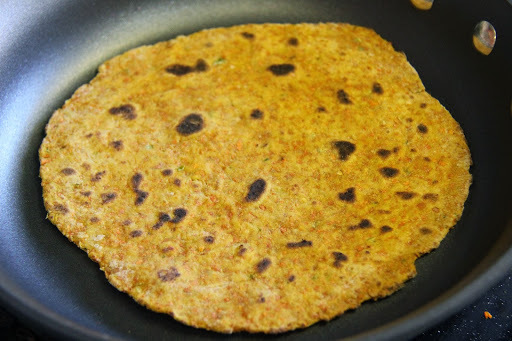 6.Heat a pan and put the flat bread on it and keep rotating it clockwise or anticlockwise while simultaneously tapping it with a cloth or kitchen towel.Repeat the same on the other side.This ensures that the thepla is equally roasted.Now lightly apply ghee or oil or butter on the top side and flip an roast and repeat on the other side and remove from pan. 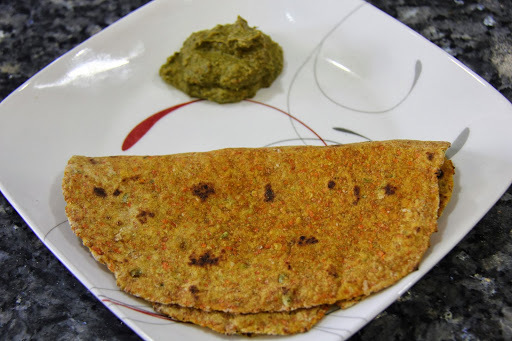 Serve with Pudina chutney or any other chutneys or pickles. 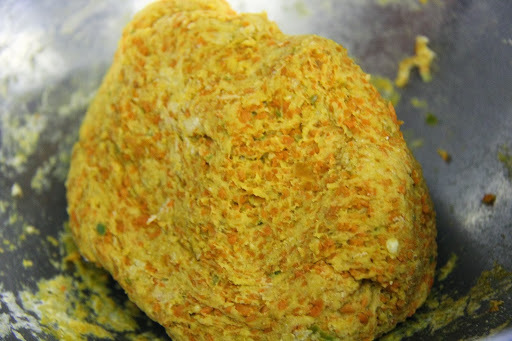 The finer you get the carrots grated,the flatter you can roll out your theplas.I used a food processor to grate the carrots.